It is said that twin brothers Romulus and Remus were abandoned by their parents and tossed into the river Tiber. The basket they were in ran aground and was found by a mother wolf. The wolf took care of both babies for a while before they were found by a shepherd. The shepherd adopted the two babies. When they reached adulthood, they decided to found a city in the place where they were first found by the wolf. There was disagreement between Romulus and Remus about the location of the city, and Romulus killed Remus and named the city of Rome after himself. Archaeology gives us an idea of what life was like in the region before Rome was founded. At the beginning, Rome was ruled by a king and it grew steadily until in 509 BC the Romans formed a new structure of government – the republic. Over the centuries, other countries have modelled themselves on this Roman structure. The Roman Republic began when the Romans overthrew their Etruscan conquerors who had ruled Rome for hundreds of years. They set up a new system of government which allowed the citizens to select representatives to rule on their behalf. The citizens of Rome differentiated themselves from non-citizens and slaves by wearing a toga, and this class of citizen had many levels of privilege and social class within it. The Law of the Twelve Tables is one of the earliest surviving codes of law. There was a struggle between the patricians (the privileged class) and the plebeians (the common people) to protect the legal, social, and civil rights of citizens. 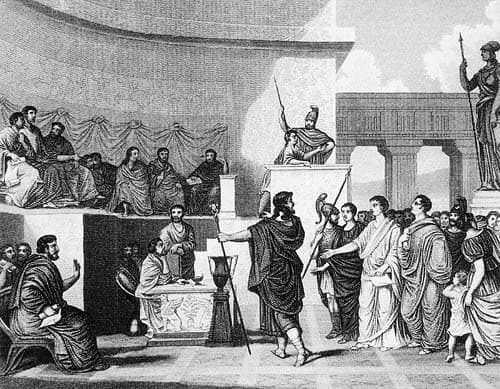 A commission of 10 men was appointed in 433 BC called the Decemviri to write a code of law that was suitable for both parties. Before the Twelve Tables law, there were private laws which applied to Roman citizens. The Law of the Twelve Tables can found here. Hannibal was a Carthaginian military commander who was known as one of the best and most talented commanders in history. After the First Punic War there was a temporary peace between Carthage and the Romans as both economies were dependent on the Mediterranean Sea as a commercial trading route from Eastern countries like Greece and Lebanon. After the death of Hannibal’s father, Hamilcar, Hannibal came to power and he spent years preparing to defeat the Romans. During the first engagement, Hannibal’s cavalry won a victory over Scipio’s forces near the Ticinus river, followed by a victory at the Battle of the Trebia. Hannibal planned to control northern Italy and the Romans withdraw all its forces from central Italy to prepare for Hannibal’s attack. After almost 15 years of fighting, Hannibal was forced to retreat from Italy. 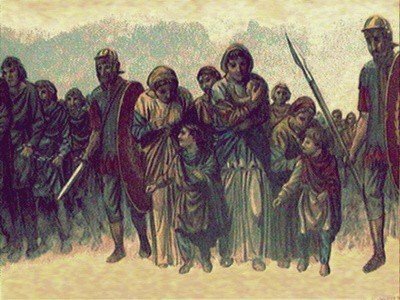 There was a dramatic point in Roman history when non-Romans were no longer allowed to stay in Rome, and all non-Romans except slaves were expelled from the city. Rome introduced its first gold coin in 50 BC called the “aureus” which was valued at 25 silver denarii. 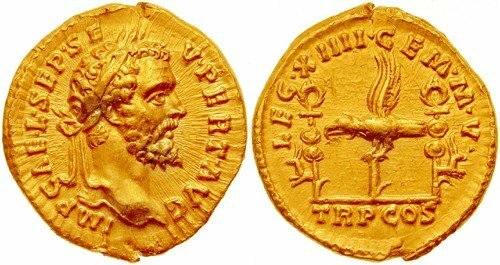 The aureus was used in trading from the first century BC to the fourth century AD until it was replaced by the “solidus.” The aureus was the same size as the denarius but a little heavier due to its higher density of gold. Gaius Julius Caesar was born on 12 July, 100 BC in Rome. He is considered the greatest military strategist and most brilliant politician of all time. Caesar conquered the Gauls in 51 BC and was the first Roman general to build a bridge across the Rhine and begin the invasion of Britain. This achievement afforded Caesar supreme military power. He implemented government reforms and Roman society overthrew the existing government and proclaimed Caesar as Rome’s dictator. 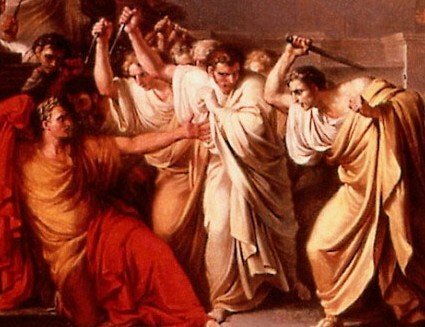 Julius Caesar was assassinated on March 15, the festival day of Ides of March, in 44 BC by his own senators. The plan was led by Gaius Cassius Longinus and Marcus Junius Brutus. They stabbed Caesar next to the theater of Pompey. Pontifex Maximus was the highest religious post in ancient Rome. It was only open to patricians until 254 BC, but later plebeians started occupying the post and it became more politicized. 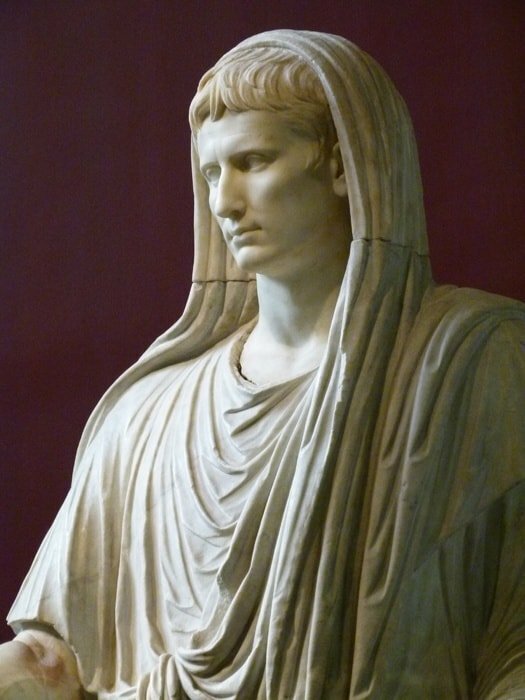 When Augustus consolidated power, he had the right to appoint other pontifices, but by ending this tradition, the new emperor was given religious supremacy and responsibility for the entire Roman state. There were many notable events in Rome before AD and Rome witnessed dramatic changes to its political and social structures, religion, and architecture. It is believed that Rome had the most advanced architecture, culture, and social structure and this has greatly influenced later cultures around the world. You don’t have to be rude about it! Just because someone had a misunderstanding, it doesn’t mean to just be rude about it! He is not rude, he is right. This sort of top 10 lists are usually wrong. Julius Caesar wasn’t the first dictator (dux) at all, there were so many before, in time of crisis (i.e. Marcellus, Fabius Maximus, Sulla…). Whoops! Julius was not the first dictator of Rome by a long shot. Dictator was an honoured republican office which; in dire emergencies; could put the rule in the hands of one man for a limited period of time. If however by dictator you mean 'the despotism of one individual' then both Marius and Sulla spring to mind. 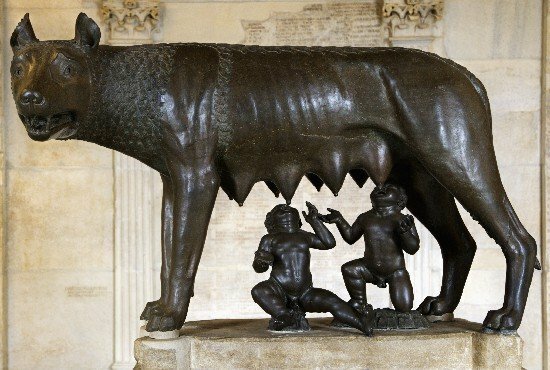 Although Romulus and Remus as Deities are a Myth it is Possible they were real people and the founding brothers (or at least partners) of Rome. As for the whole Carthaginian campaign being more important than Hannibal Barka invading over Alps. No other general was able to run rampant up and down the length of Rome at all never mind for as many years as Hannibal did. romulus and his brother did not get abandoned by there parents you got the whole story wrong! the story is that there mother was a princess and her uncel [also known as the king] banished her and told her that if she ever had children they will be taken away from her and she will never see them again because if she did have children he knew they would threten his throne. but when she was banished she went against that rule and had twin boys also known as romulus and remus but the kings hunters found out and told the king and so the king sent his servant to go and take the kids away from her so it is the servent that puts the two babies in th river and the river god saved them and put them on dry land then the wolf found the children and brought them up. so get your facs straight and tell people the truth!! Yes, Julius Caesar was not the first dictator, but he did declare himself ‘Dictator for Life’ which was a first. No it’s not. Sulla was dictator for life. The list is ok but I would have had Spartacus’s slave revolt, Constantine making Christianity the religion of the Empire and Diocletian dividing the empire into East and West. Very interesting information. I finally found out who split Rome. I’m always wondering why Diocletian split Rome into East & West. I do not remember reading or seeing his name in history books. Was it was caused by the Huns or the North people.